Written by admin in Help and Advice on Jan 27, 2019. Small bathrooms don’t have to be Spartan or uncomfortable. 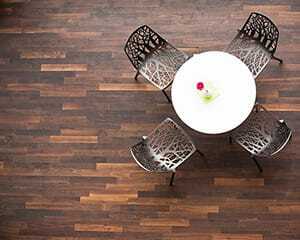 When it comes to design and flooring there is a wide range of ideas you can put to good use. Here are some of our bathroom flooring ideas for small bathrooms.A small room can be fashionable, useable and, with the right approach, space-efficient. Here’s some ideas - you can make even a tiny bathroom look so much bigger by using rich dark colours that stretch along the floor and blend into light or white coloured walls. When it comes to fittings the best ideas are to use short projection loos and basins together with designer shower baths. 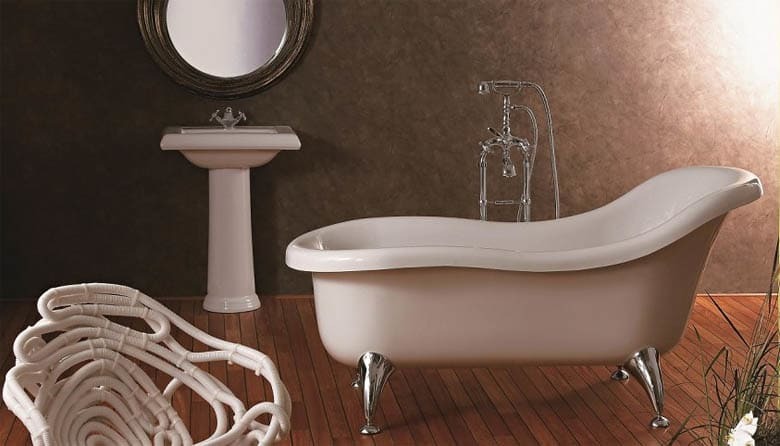 If you have to have a bath ensure that you install a shorter tub that provides a good depth so you can still enjoy a lavish soak after a busy day. 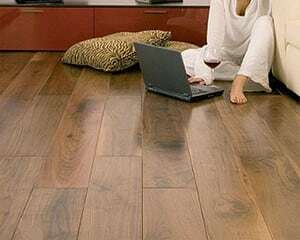 Many people have the ideas that using wood for bathroom flooring is likely to make the room look smaller but this isn’t true at all. 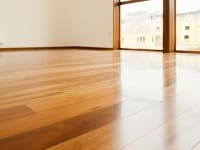 In fact, by using correctly treated wood you can minimise the need for mats and rugs as the wood is a naturally warm material and comfortable for bare feet. By losing the rugs any bathroom will automatically start to look bigger. 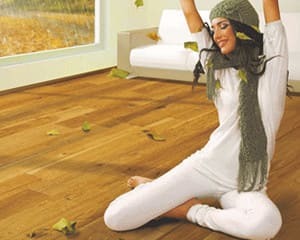 Wooden floors help to establish the image of the bathroom and also create the illusion of increased width if the planks are laid parallel to the longest section of the room. 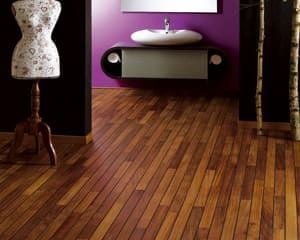 When choosing wood for a bathroom the best idea is to select engineered exotic hardwoods. 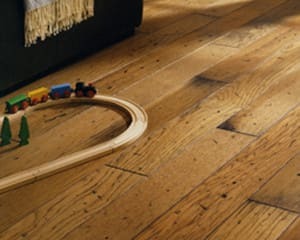 These are planks of beautiful design and grain that are hardwearing and very water resistant if pre-treated correctly as all of our Navylam products have been. 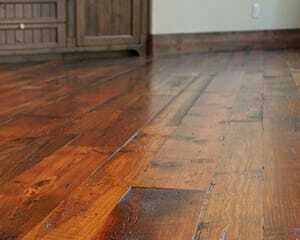 The thick exotic wood surface can be refinished many times and will look new and beautiful for decades. 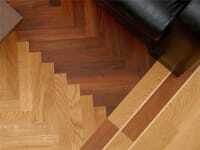 Hardwoods are also very suitable for damp conditions and have been used as ship building materials for millennia. 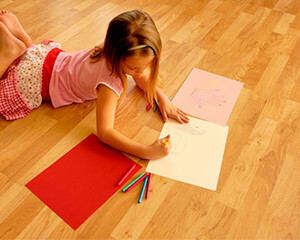 Engineered flooring is much more suitable than laminate which warps and swells if water penetrates the seams. A growing trend taking place during 2018 is the use of grey stained exotic woods that allow for small rooms to maximise the light without appearing too brilliantly white. The rich grain of the wood combined with the contemporary feel of light grey wood will always help to create a bathroom of distinction. Designers have been upping their game in terms of utilising more organic materials into small spaces such as a bathroom. The use of under-counter lighting that deliberately illuminates the floor often makes the space not only look warm and inviting, it gives the impression of a larger floor space. 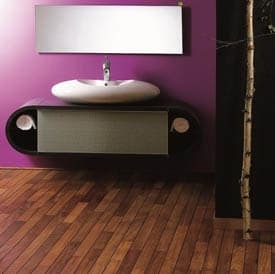 A real advantage of wooden flooring for small bathrooms is the way it turns a small space into a cosy comfort zone. This has been a trick of interior designers for decades but now with water resistant exotic engineered hardwood floors evermore small bathrooms are benefitting. By adding the natural and organic ambience of wood, small bathrooms look accessible and welcoming. We hope you’ve found our bathroom flooring ideas useful. 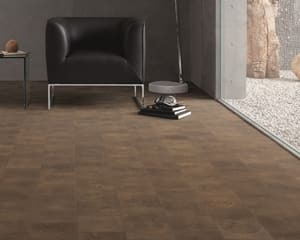 Can I install real wood floor in my bathroom?